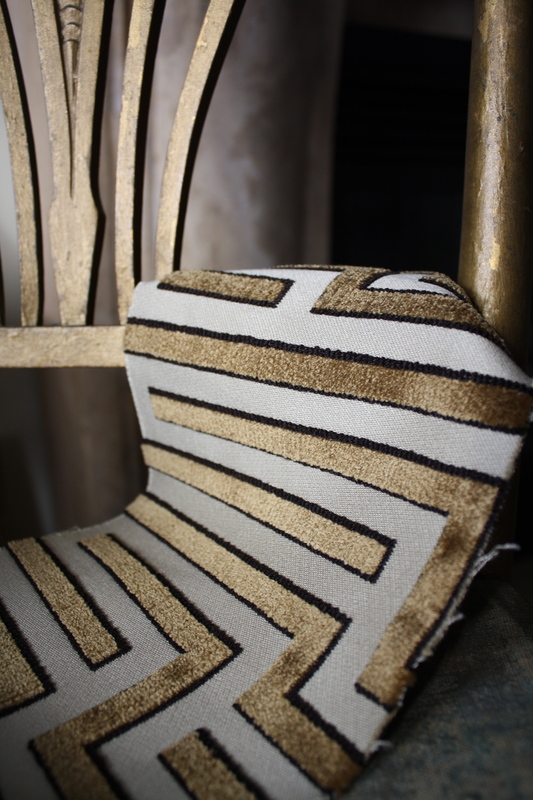 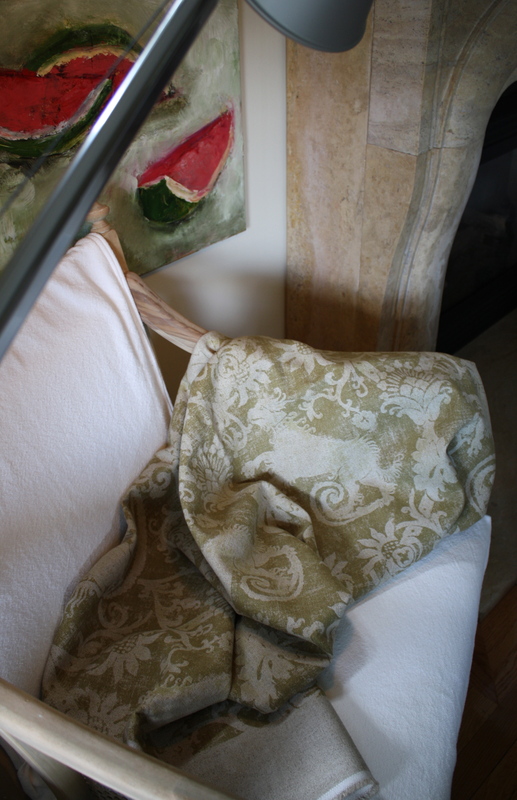 I am extremely fortunate to have a sister who is a brilliant textile designer! 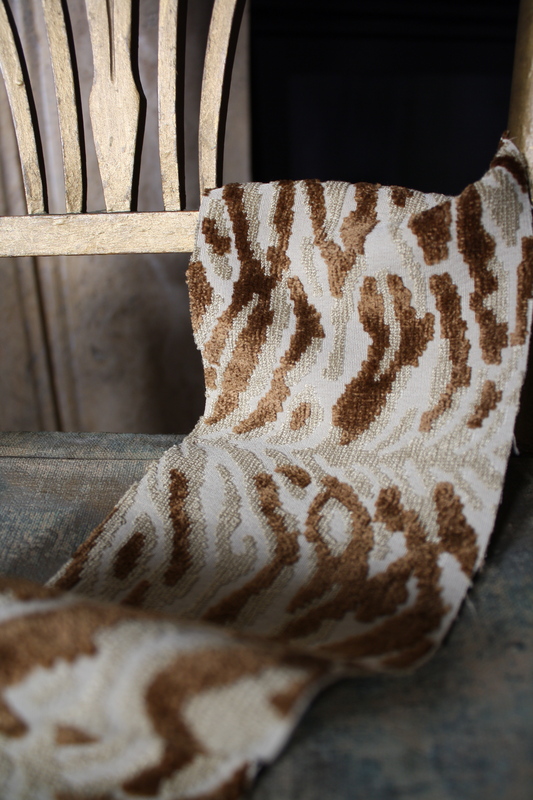 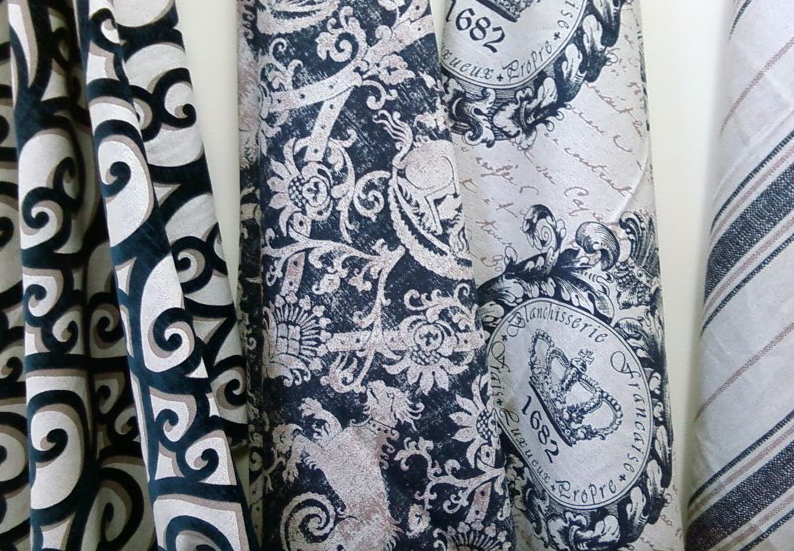 She has been creating textiles for over 30 years and brings a wealth of experience to every collection she designs…the fabric in today’s post is from her recent Antiquities Collection for Microfibres and features a lovely gryphon pattern…I absolutely love this fabric! 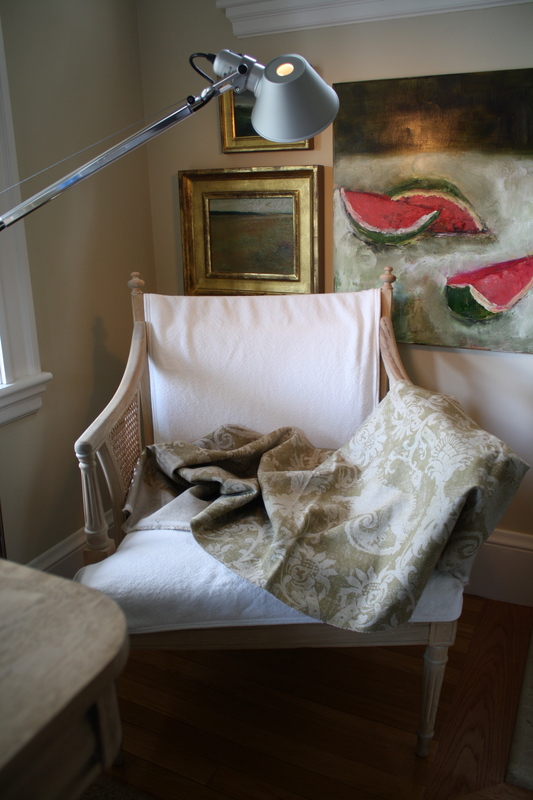 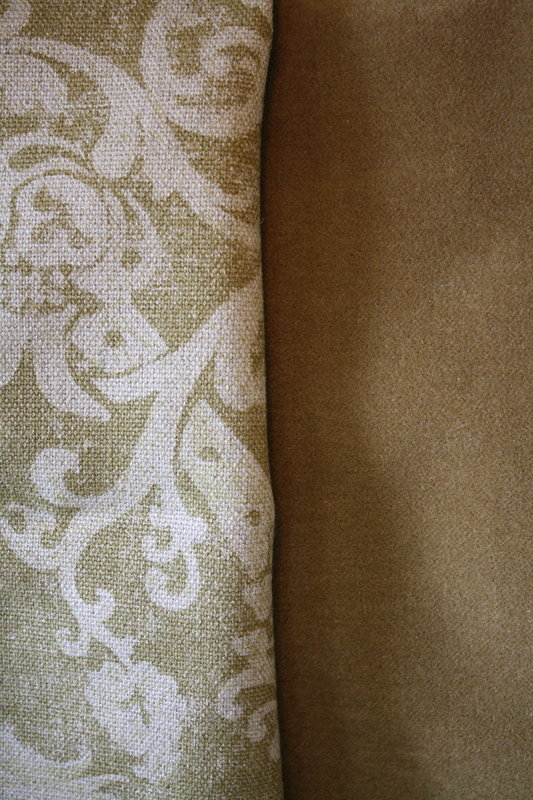 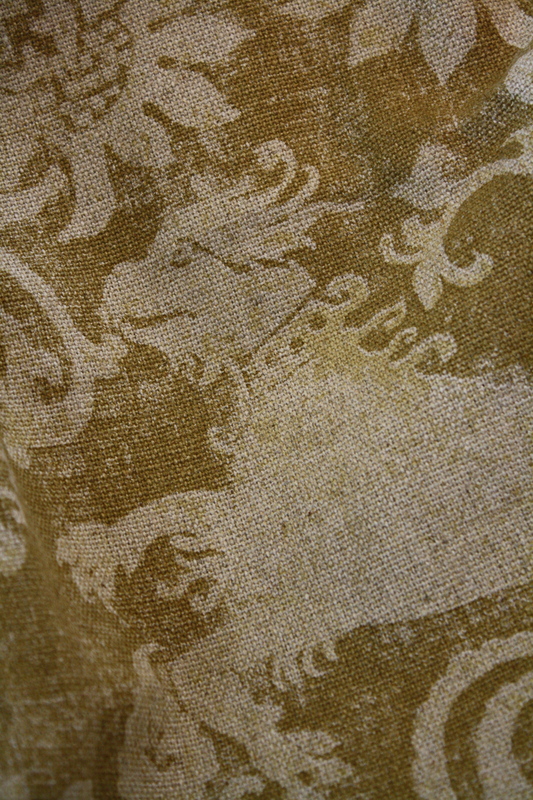 The citron color works beautifully with the art and textiles in my home and I adore the linen for its texture and neutral background…I have just enough from this sample to have two pillows made…the front will be in Karen’s fabric and the back in the mohair I used for my dining room chairs (luckily I have some left over!) 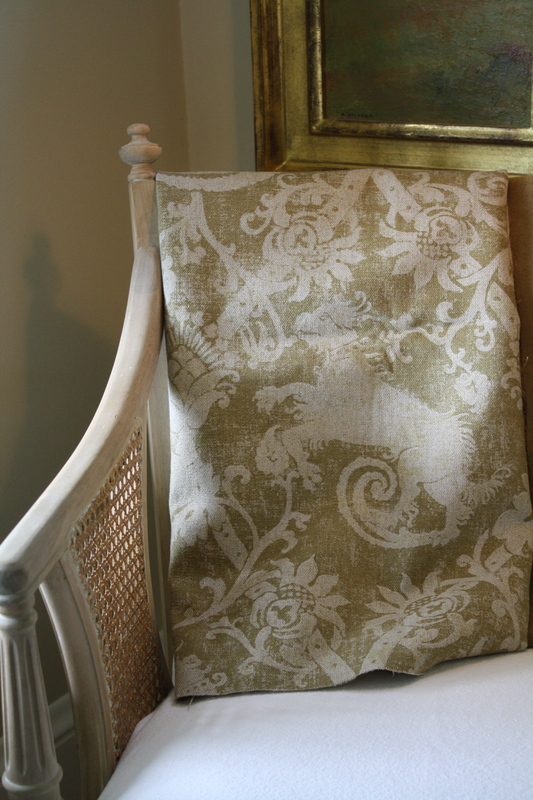 I promise to post photos of the pillows when they are complete…please enjoy this look at textile designer Karen Nehlsen’s Gryphon fabric in Citron! 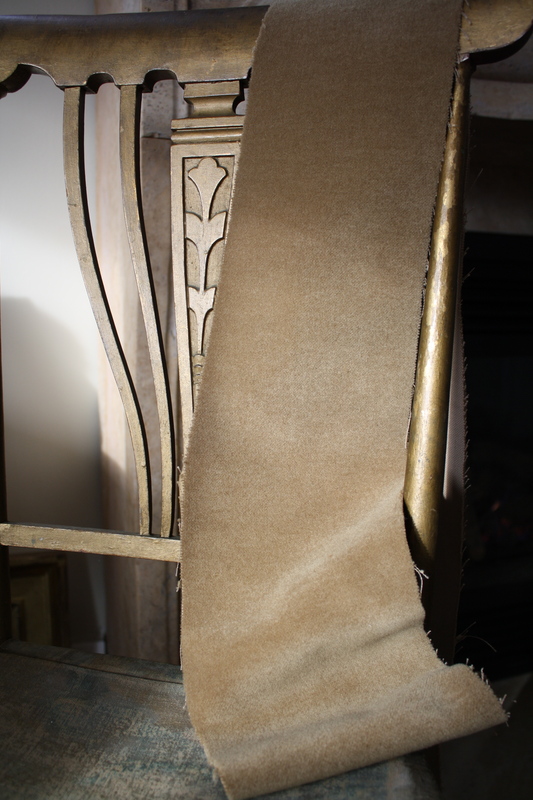 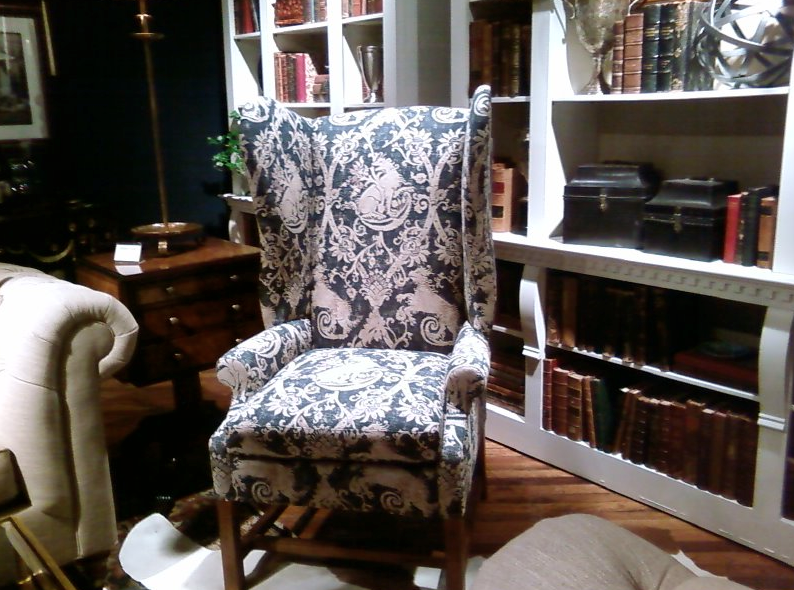 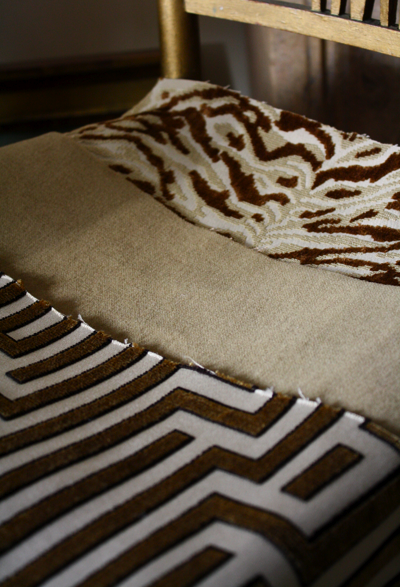 below ~ the gryphon and mohair fabrics side by side!